I haven't done a monthly recap post for a while, but I haven't posted much lately so I thought I'd do a summary of what I've read this month. Firstly, I finally finished Lord of the Rings! I think it's been round about a year, perhaps just over, since I first picked up The Fellowship of the Ring. I tend to be very slow about reading long books - I need to take breaks to read other things in the middle - but I didn't quite expect to take so long to finish. I did enjoy it, and am partly tempted to start over again with FOTR, since it feels like an age since I read that. At any rate, I can now say that I have read it. 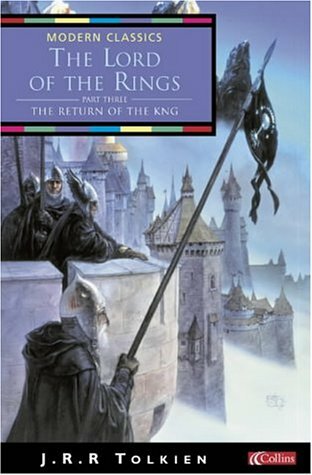 I made some progress with Mount TBR this month; I'm still hopelessly behind my goal of 24 books, but I did get a few off: The Return of the King (as mentioned above), Scarlet by Marissa Meyer, and Forged in the Fire by Ann Turnbull. Scarlet was a disappointment - despite having really enjoyed Cinder (last year), I found this a bit of a chore to get through; I think I just wasn't that interested in Scarlet and Wolf or their story. I did enjoy the bits with Cinder and Kai more. I'll probably still move on to Cress eventually, as it sounds like I'll enjoy it more, but it's not a top priority. Forged in the Fire I really enjoyed - despite also taking me a long time to read - but it's the kind of book you can quite easily put down and come back to without too much trouble. It's the sequel to No Shame, No Fear, which I read quite a number of years ago now, about Quakers and religious persecution in seventeenth-century England; this book (as the title suggests) deals with the years of the plague and the Great Fire of London. I'd recommend both books, and am looking forward to reading the third one, Seeking Eden. 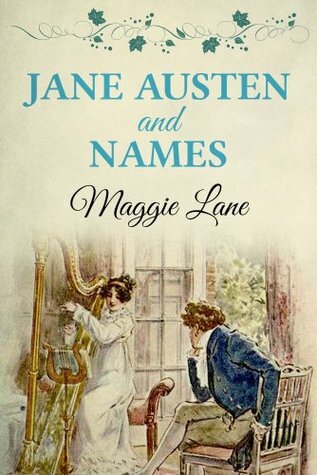 Jane Austen and Names by Maggie Lane; this was quite an interesting read, although short, although I already knew a bit about the subject so there wasn't that much that was new, and there were a couple of things that were incorrect, although these were pretty minor things. There was an index of names mentioned in Jane Austen's book at the back, which I thought was helpful. Mr. Majeika on the Internet by Humphrey Carpenter; a fun, but kind of wacky children's book, that I'd definitely have enjoyed as a child. Adrienne and the Chalet School by Elinor M. Brent-Dyer; enjoyable, but I prefer the earlier books in the series. A Very Distant Shore by Jenny Colgan; this was OK.
Also, this is my 100th post! I find it hard to believe I've written so many, but there you are. Cinder and Kai are my favorite followed by Jacin/Winter and Thorne/Cress in 2nd and dropping way down Scarlet and Wolf. They are gross and get grosser. I feel that Cinder and Kai get hardly any time compared to the others in the rest of the books. I would pass on the prequel about the Lunar queen; I put it down it is so awful, she is so evil. Congrats on your 100th post! Also, I tagged you with the Disney Princess Book Tag. Play if you want to :-) Happy Thanksgiving! This is the first of Dorothy Sayers' Lord Peter Wimsey books that I've read. Although Peter is the series' main character, it takes him a while to appear in this book - the main character is Harriet Vane, a friend of his who has been involved in some of his previous cases, who is called back to her (fictional) old Oxford college, Shrewsbury, to investigate a series of unusual occurrences, including anonymous letters sent to residents of the college and other unsavoury happenings. I enjoyed the mystery itself; it was unusual (in not being a murder mystery, or a straightforward crime), and I definitely didn't see the ending coming - looking back, there were some clues, so it might have been possible to have had a guess at the culprit, but I obviously wasn't paying enough attention. Half Magic by Edward Eager A magic coin that only grants half of what you wish for - what could possibly go wrong? Jane of Lantern Hillby L.M. Montgomery I've reviewed this recently here.